Who said that being a traffic policeman should be boring ? Obviously not this police officer. In one of the most crowded and touristic place of Lisbon, he’s asking people to hurry up in a clowny way, making some large gestures, changing the tone of his voice, and talking in 10 different languages at the same time. 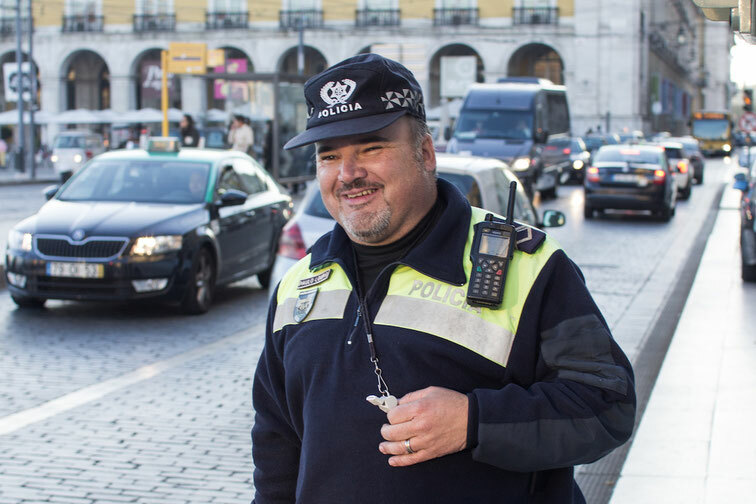 From the Portuguese people in their car to the tourists on the pedestrian crossing, everybody is laughing and doing its best to make it easier for the others. In the middle of this crazy and funny beat, if an old lady is passing by, Mister Clowny Policeman stops everything and helps her to cross the road.